A talented young Catholic composer from Barranquilla, Colombia, Johann Álvarez has been composing music for the last 20 years. Inspired by the action of the Holy Trinity in our daily lives, Amor Sal y Miel is named for God's love (Amor) that, through Christ, pours out like salt (Sal) to flavor our lives, and the joy of the Holy Spirit, which is like honey (Miel) on our lips. This upbeat 10-song collection features themes and messages of daily life. Speaking of love and the protection of life, it encourages listeners to serve as an instrument of God, and to seek and find everything we need in Him alone. 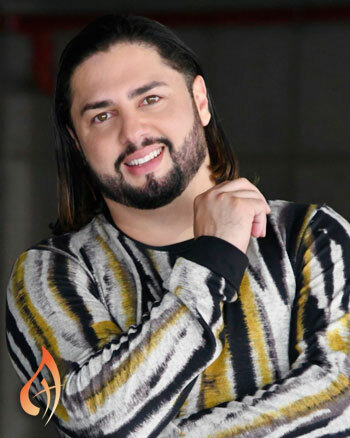 Amor Sal y Miel is for anyone seeking fresh, contemporary music with a positive Christ-centered message, particularly modern families, youth and young adults. Ideal for retreats, prayer groups and casual listening, the collection features a mix of contemporary musical styles and songs, from rock and pop to ballads and cumbia rhythms. Bass, guitar and vocals feature prominently throughout the recording. "En Busca del Nectar," uses the analogy of a bee flying from flower to flower looking for food, wasting time with flowers that have no nectar. Like bees, we seek the nectar of life but sometimes waste time on activities that leave us with nothing; Jesus is the true nectar. The energetic "Barro Al Fuego" presents Christ as the only way to heal the soul while "Testigo de tu Amor" invites us to meditate on love in the company of Jesus Christ, the beloved Lord.Together, this uplifting collection encourages and supports a life lived in Christ. A talented young Catholic composer from Barranquilla, Colombia, Johann Álvarez has been composing music for the last 20 years. His interest in music began at a young age and he was composing music by the time he was a teenager. He attended the Universidad del Norte in Barranquilla where he studied communications and journalism. For his writing, Johann draws inspiration from the Gospels and seeks to make an authentic connection between the Scriptures and daily life. His goal is to inspire believers everywhere to live in faith and hope and to encourage the faithful to put their talents to use—for the glory of God and his Church. 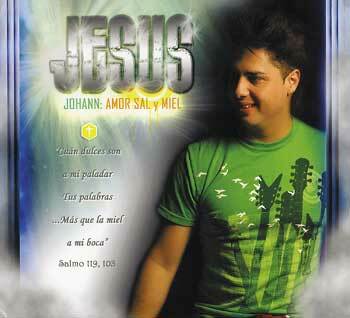 In April 2010, Johann's first album entitled Amor, Sal y Miel was released, followed shortly thereafter by En la Obra de Dios in September 2012. This second album contains the popular "Como el Sol en el Cielo," the winning theme song of the Lectio-nautas competition held by Cristonautas that resulted in a trip to World Youth Day 2011 in Madrid for the composer. His songs can be found in OCP’s contemporary collections ¡Vive Tu Fe! 50 cantos de Evangelización, Oración y Alabanza and Entre Tus Manos. Currently Johann lives in Miami, Florida where he continues to work, preach and help develop programs for various groups and youth ministries.